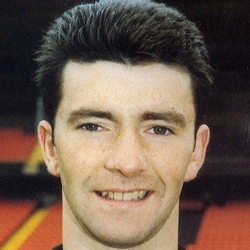 Paddy joined United from Hamilton Thistle and progressed through the youth system. 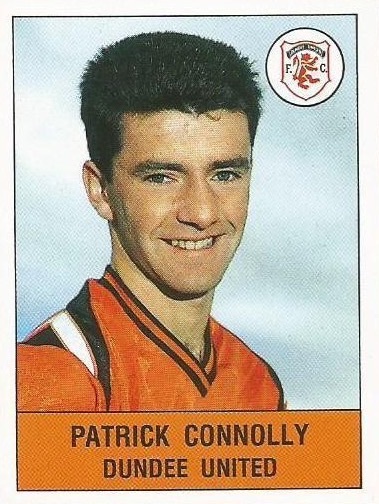 He was part of national youth side and played at Under-21 level for Scotland. By 1992-93 he was a regular for United and was top scorer with 19 goals, but at the end of 1993-94 he was transfer listed. 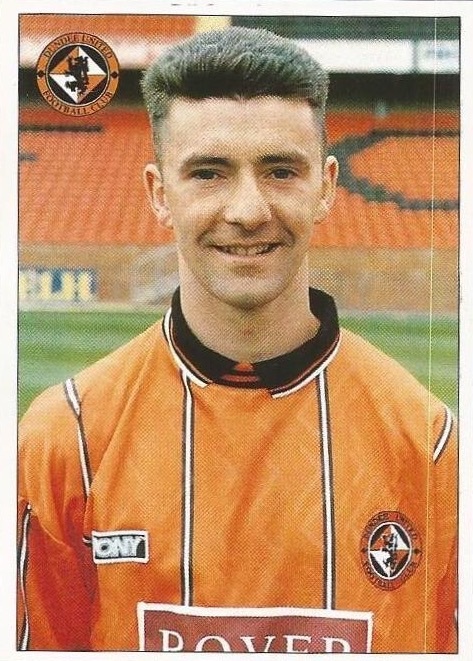 He was transferred to Airdrieonians for a fee of around £150,000 in March 1996. His was the infamous ‘goal that never was’ v Partick Thistle on 13th February 1993 and created a worldwide change in goal nets. Paddy scored, but the ball hit the stanchion holding the net in place and the ‘goal’ was missed by the referee Les Mottram. To compound the referee’s error, play was waved on after a defender picked up the ball and handed it to the goalkeeper! As a direct result of this incident, stanchions were no longer permitted and FIFA ordered that nets must be held back by ties. 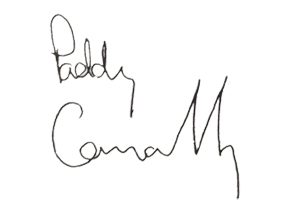 Paddy was born on this date in Glasgow. Who would have believed that it was possible for two sides to produce five consecutive goalless draws. 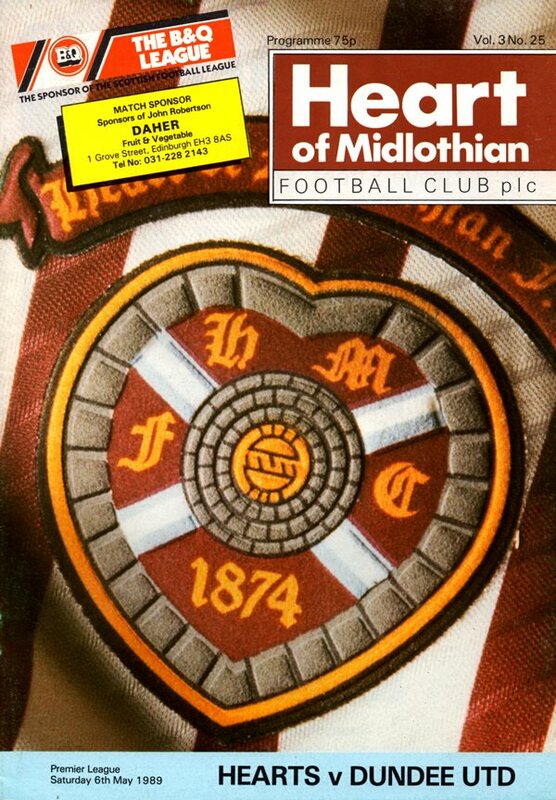 Even a late penalty award for Hearts failed to breach the stalemate of these recent encounters. Tannadice, which has so often been the graveyard for Celtic's aspirations lived up to its reputation yet again. This latest defeat means Celtic have only won twice on Tayside in their last 17 visits. More importantly from a United standpoint, it closed the gap on Celtic, who are in fourth spot, to a single point and re-awakened our own hopes of a place in Europe again next season. United's much changed side which saw teenage winger Paul Walker start a first team match for the first time booked a comfortable passage to the quarter finals of the League Challenge Cup. The writing was on the wall in the last twenty minutes when the Tangerlnes simply stopped playing after taking the lead and failed to kill off the opposition. Matters were only compounded by yet another serious injury to a striker with Paddy Connolly being led off with what transpired to be a broken collar-bone. From that moment on Airdrie, who had rarely been seen as an attacking force, surged forward. That the game should end in such a fashion was in complete contrast to how the opening seventy minutes had unfolded.